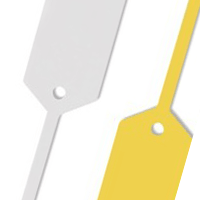 Specialists in Key Tags, UK Based. 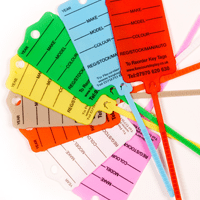 Key tag specialists offering custom vehicle identification tags and plastic car dealer key tags. 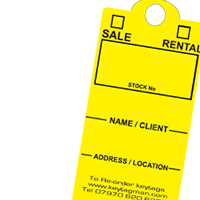 Welcome to the Key Tag Man website, your first port of call for all your key tag requirements. 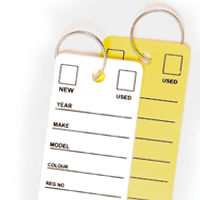 We believe that key tags play a vital role in the efficient organisation of car and other motor vehicle stock within the new and used car sales industry. With a constant turnaround of vehicles, it’s important to be able to identify all of your vehicles, all of the time. 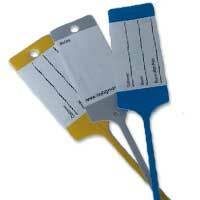 The aim of Key Tag Man is to be able to supply you with as many key tags as you require in the easiest way possible. Ordering online is simple and our products, which we produce and distribute, are all high quality. 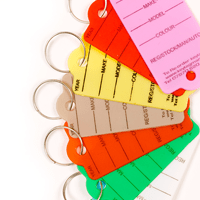 A good key tagging system in your workshop or sales department can revolutionise the way your business is run, with quick, easy to read identification tags, speeding the whole process up, saving time and money in the process. For more information, please view all of our key tags on our products page. Please feel free to call us or email us for much more information.